Thank you for your inquiry, we will respond to you shortly. Leonard Mizerek nurtured his artistic love of nature while growing up in the Brandywine Valley. As a young boy, he often went painting along the Brandywine River, deriving inspiration from the countryside of nearby Pennsylvania. His early influence was with the Brandywine School. Known for his seascapes, Mizerek embodies the bold use of color, luminosity and expressive brushwork. He paints on sight in coastal locations throughout New England and Europe.“Bringing light into my work has been my current focus. I enjoy discovering the hidden colors in nature. Light alters the color of objects; it sets a mood and evokes emotion, which I strive to portray in my work.” ~ Len Mizerek.Leonard was one of the 15 artists selected by Watercolor Magazine to paint at the Forbes Ranch in Colorado. 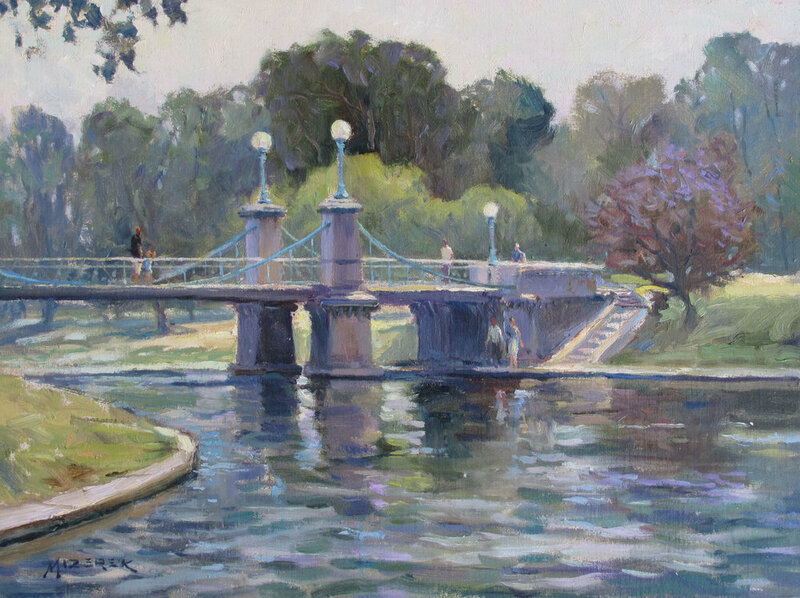 His work is in Forbes permanent collection, American Yacht Club collection, Lexmark International, Bell Helicopter, and other corporate collections.